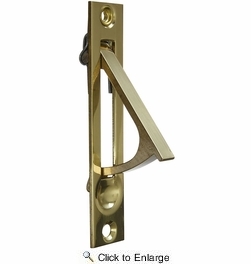 National N216-051 Door Edge Pull - Brass (V1949). Pull is flush with the edge of the door after installation. Offers easy grip handle. Manufactured of solid brass for maximum corrosion resistance.